Home » Trending Now » Why is Action Item trending? 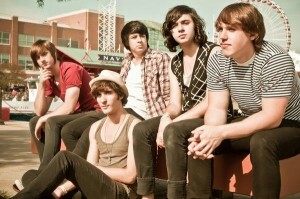 Action Item will be releasing their new EP, The Stronger The Love, this summer. But who is Action Item? More importantly, what does Action Item have to do with Justin Bieber? New Jersey pop-rockers have opened up for the likes of Selena Gomez and Justin Bieber and toured the country on their own in support of such acts as Every Avenue, Between The Trees, and Amely.